Use this Solenoid Valve Adjustment Tool to make easy flow adjustments on the 1" Hunter PGV valves with adjustable flow control. Place tool over the center adjusting screw to make this job easier in the valve box. Tool is not necessary. 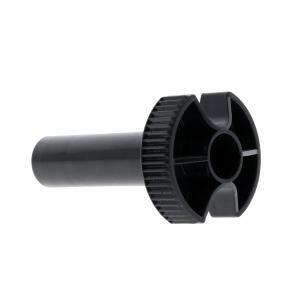 Flow control knob can be turned by itself or with a flat blade screwdriver.